People have a "one true Prime"?! Whaaaaaaaaaaaaaaaaaaaaaaat?! I guess TRU Hasbro MP Optimus Prime is mine? I guess? He did come with a nice Matrix, although MP1 has the ability to have the Matrix light up..! I may need to get him and MP5 Megatron back out on display. And figure out what needs fixing on MP5. Pretty sure something broke the last time I tried to transform him. Just checked my first post of this thread from two years ago. I wanted one nice clean display of things. That's what I'm gonna do. LOTS OF THINGS MUST GO! itscramtastic wrote: People have a "one true Prime"?! Whaaaaaaaaaaaaaaaaaaaaaaat?! I'm pretty sure Optimus Prime is the Dr. Who of the Transformers universe. Last edited by carytheone on Fri Oct 27, 2017 1:53 pm, edited 1 time in total. 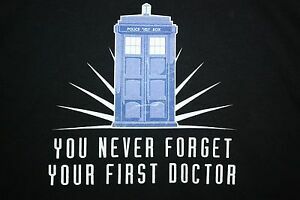 If that was a Dr. Who reference, it is lost upon me. So, I brought a few Starscream's today. You know, 'cause he's the best. It's like looking in a mirror, only..not.. So I just got this Universe Starscream last week. New in sealed package. Paint blemishes are lame. That said, I forgot how fun the Classics Starscream mold is. Not horrible on articulation and gets the job done, especially in this coloring (me being the big fan of MP-3 TRU Starscream that I am). RiD Screamer really needed some paint on his wings, or at least a to break them up, otherwise he is pretty interesting! Sweet! Universe 'Scream was my first G1-style TF, and he's still on my shelf. Glad to see yours clips together better than mine. D-Maximus_Prime wrote: RiD Screamer really needed some paint on his wings, or at least a to break them up, otherwise he is pretty interesting! Yeah, a Decepticon sigil may be needed sooner than later!! I have a bunch of extra Repros I'll go through. Sigma Magnus wrote: Sweet! Universe 'Scream was my first G1-style TF, and he's still on my shelf. Glad to see yours clips together better than mine. He is definitely awesome. And he really goes well with the MP! I don't have any idea why I sold the Classics version, other than maybe I wanted to get this version instead. Kind of like how the RTS version of Classics Hot Rod is better than the original IMO. Where does yours not clip together? My left side missile launcher is loose in the shoulder, but everything else seems to stay together otherwise. Speaking of Rodimii, I have a few I need to offload before the Power of the Primes one releases!! Where does yours not clip together? My left side missile launcher is loose in the shoulder, but everything else seems to stay together otherwise. Mostly the nosecone parts, the launchers on mine fit fine. The wrists are loose too, though that might just be from love wear and tear. My wrists seem a little loose, it actually gives him a more natural pose! I'm definitely admiring him right now. Just need to fix that red paint (I guess I'll have to repaint that whole piece) and color in his intakes/landing gear. That'll be nice. Yeah, he needs that Con symbol bad. 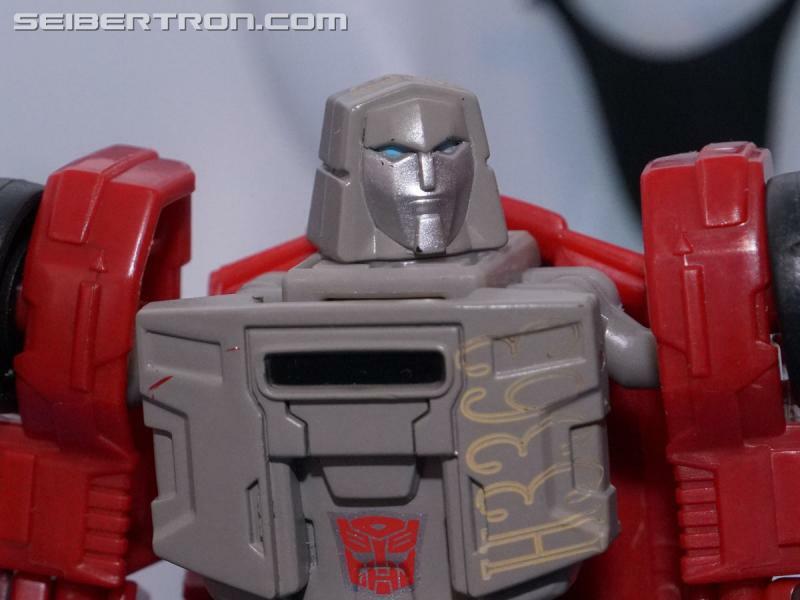 Hasbro apparently agreed and added some to the TC release. RID SS doing his best John Woo! Waitasecond, I thought they released Skywarp and not Thundercracker? itscramtastic wrote: Waitasecond, I thought they released Skywarp and not Thundercracker? Oh yeah, I think you're right. Either way they need to finish the set. Far right side of this cropped wide panorama I took. I'm really sad we never got an RiD Thundercracker. He's my fav seeker! I'm also bummed we finally got a PotP voyager seeker and we're only getting Screamer and an Elita-1 from it! D-Maximus_Prime wrote: I'm really sad we never got an RiD Thundercracker. He's my fav seeker! So is it all but confirmed that we will never finish the RID Seekers? That makes me a sad panda as I also have a soft spot for TC. I'm still not sure how I feel about that voyager PotP Seeker mold. I go back and forth. The only figures that are not in the news a lot with people trying to find sightings are a pair of Crash Combiners, Primelock and Saberclaw, that have yet to even have stock photos revealed, and I'm worried they will never come out, and both looked awesome when revealed. The voyager mold appears to suffer from the combining gimmick, with the undercarriage and fake cockpit kinda saddening it, bit it still looks good to me. And a movie Scream reference in the torso mode is cool, and you can fanmode the torso with chicken legs! Well, pooh. That Crazyhorse RiD minicon barfing thing never really hit retail either so I guess a RiD TC is very unlikely as well. I gave up on RiD some time ago anyways. I'm ok with fake cockpits, but those Hulk hands under the wings is kinda killing it for me. I don't really want/need any voyager seekers anyway, I'm just a SS fanboy so those figs are always tempting. Yeah, I wanted Crazybolt too, but he never showed up, and I wasn't going to spend more than $20 on a minicon deployer after I finally got one (Overload), though Crazy still looked great and was considered the best. RiD was actually a little easier for me since there was less competition for figures, so I got them relatively quickly compared to TR. I had Soundwave and Blurr a whole 2 months before I saw TR wave 4, and they were supposed to be wave 2 of 2017 for their respective lines! PotP looks pretty great to me, and I am looking forward to Jazz, the beast combiners, and the leaders and pretenders. Though I am interested to see where they go from here. I'm starting to get to the point in my collection where I have a pretty good representation of characters, and this line will fill in a lot of the holes, so it makes me wonder where to go from here after the line. continue to do character with no real modern take, or start redoing them again? I think I will get Inferno to have my Inferno, and maybe swap him out for Cyclonus in the Lost Light combiner. D-Maximus_Prime wrote: I'm starting to get to the point in my collection where I have a pretty good representation of characters, and this line will fill in a lot of the holes, so it makes me wonder where to go from here after the line. I'm sorta in the same spot. I'm now getting where I really only want one representation of a character, but which one. Considering the PotP line really isn't introducing any new gimmicks, it's time to take a step back and decide what do I want/need. I need to go and double check the announced figures again. The evolution stuff does look pretty cool though. carytheone wrote: I'm ok with fake cockpits, but those Hulk hands under the wings is kinda killing it for me. I don't really want/need any voyager seekers anyway, I'm just a SS fanboy so those figs are always tempting. Fake cockpits are fine as long as they look the part. His arms are a little large, but I'll deal. 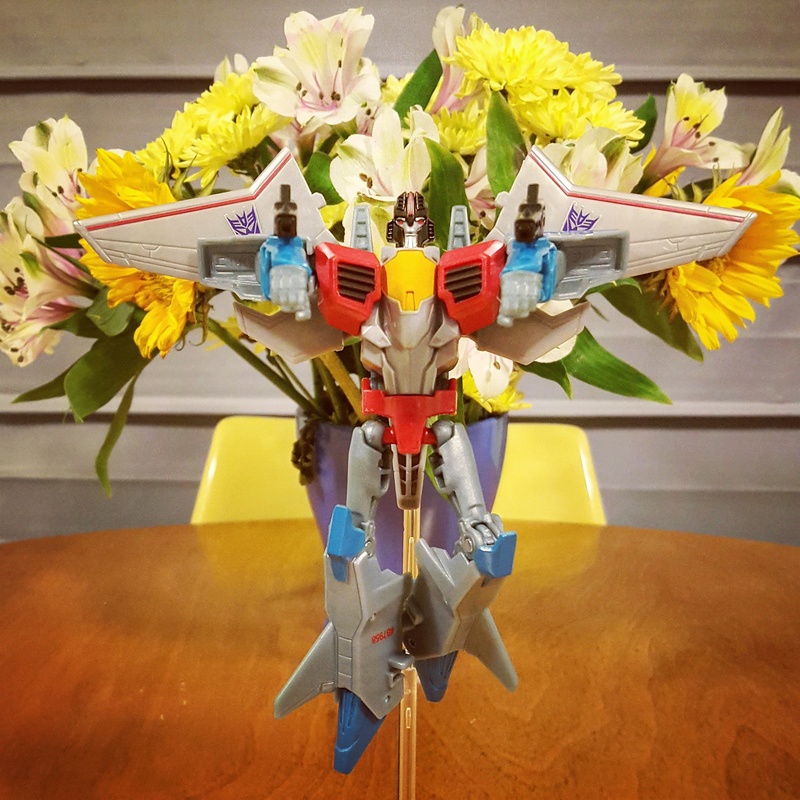 I think the best voyager Starscream is that iGear Con-Air Starburst though. WHY IS HE SO EXPENSIVE?! PotP. Can't wait for a few, and I'll see what happens with the rest! Yeah, the evolution gimmick is one I really like. It's a 2 in 1 deal essentially, and it is very unique. 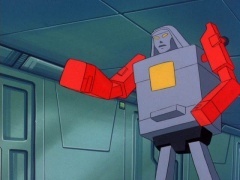 I sort of want Optimus to be my definitive Prime, but with the gimmick, I'm not sure I could turn down another one that is just the truck, not truck and trailer. both Rodimi look cool (SG Rod will go with my MP SG OP), and Primal was my vote, and the gimmick is really unique with his 3 BW bodies all be included in some way too, so it is a great section. Otay, just looked at the TFWiki for the PotP toyline. I'm all in for dinos, not interested in the beastie things, intrigued by the leader figures. 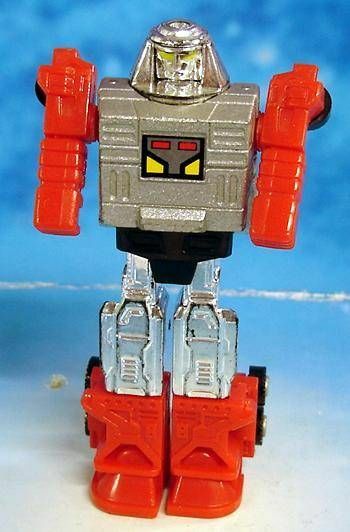 But I think the real unsung champion in the PotP line is the inclusion of Gobot Windcharger. 4,914 pages were recently viewed by 1,041 unique visitors. This page was viewed 1 times on Saturday, April 20th 2019 1:29pm CDT. © 2019 Seibertron, Inc. DBA Seibertron.com. All Rights Reserved. Established June 2000. Seibertron.com is owned by Ryan Yzquierdo.